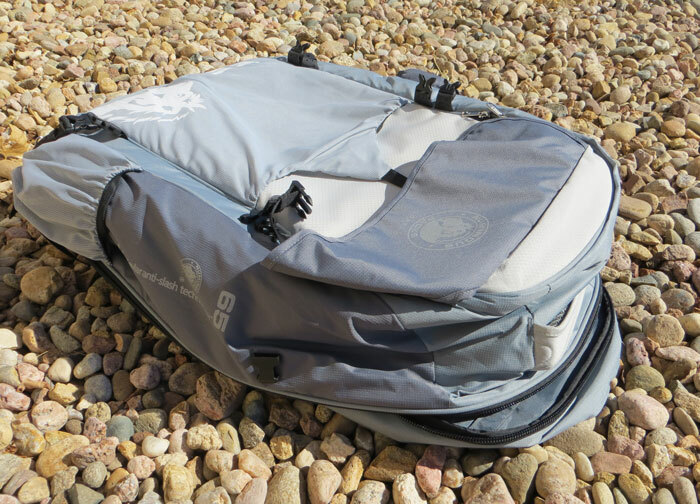 Disclosure: EarthEasy sent me this Numinious GlobePacs BackPack for review. I am giddy about this backpack. When it comes to luggage and travel, there is a lot of things to keep in mind. While a rolling suitcase can be the best option for some vacations, large travel packs can come in handy for other trips. (I’ve used a travel pack for Peru, Mexico, Paris). 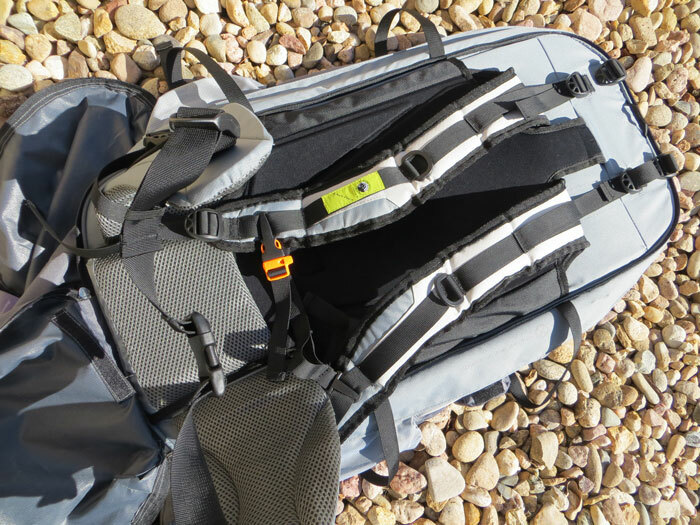 I recommend using a traveling backpack for places that are a little more off-the-beaten path, or when you are doing a lot of walking, hiking, camping or moving from one city to the next. The Numinious Travel Pack is amazing. Here is why. 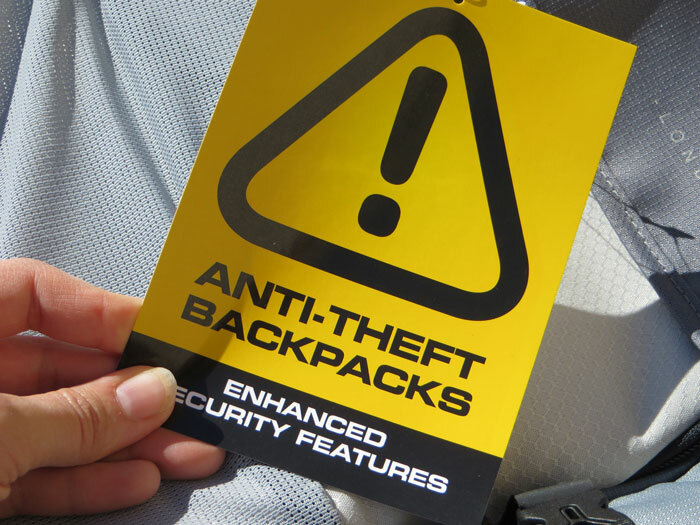 This backpack has been taking my breath away because of all of the amazing security features that it has. Anti Slash – Kevlar anti-slash technology, strength-to-weight ratio measures 5 times stronger than steel! 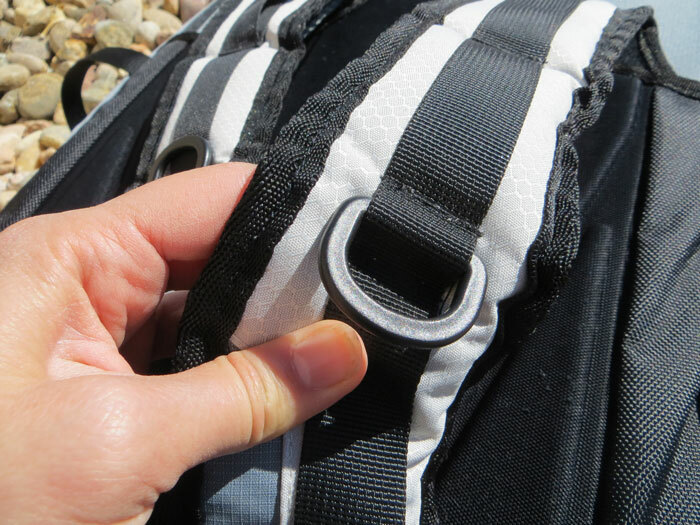 Anti Puncture Zippers – All main zippers are puncture-proof. No sliding a tool and opening the zippers! 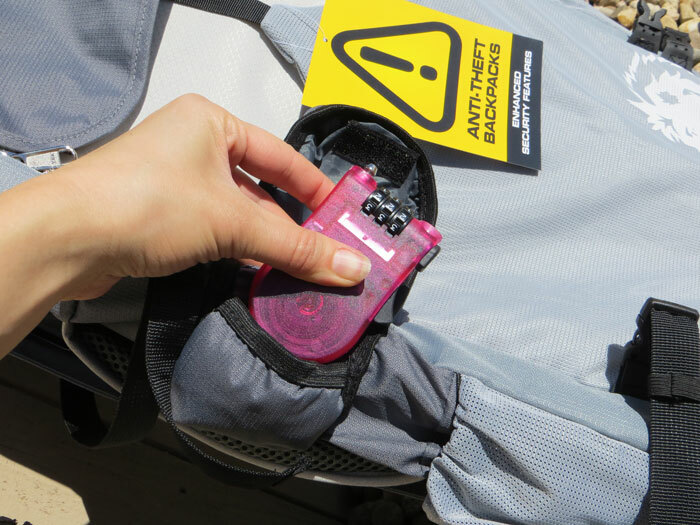 Retractable Locking – Allows you to attach your backpack to a fixed object with the retractable security cord. 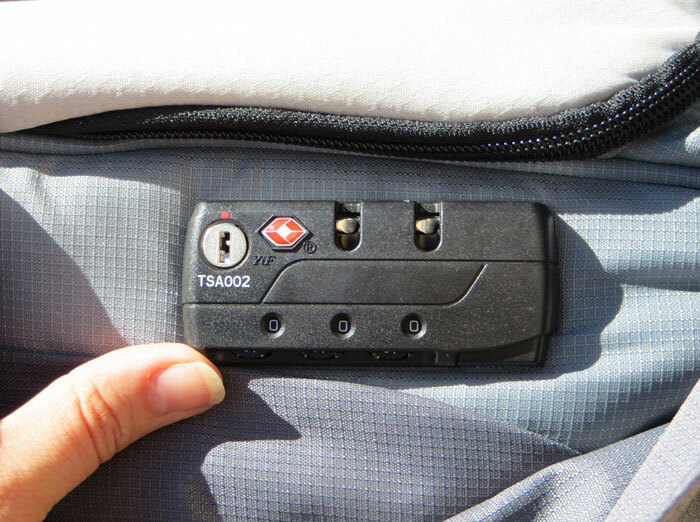 TSA-approved Locks – The 2 zipper locks are safe from perpetrators, but allows the TSA access if needed in airport security. I love the full length opening. I have had backpacks that just open from the top before. I ended up just using my clothes on top, because I realized I had to take everything out at every stop! I’ve also used the half open type, which is not bad, but with full length, you can decide whether to open it fully or partially. You can also reach in anywhere without opening the whole pack. For instance, say it is getting cold and you want to reach your sweater in the middle of the pack – just bring your zippers to that area, and open the pack at that specific location. No need to take out items and rearrange, anytime you want to get something out. 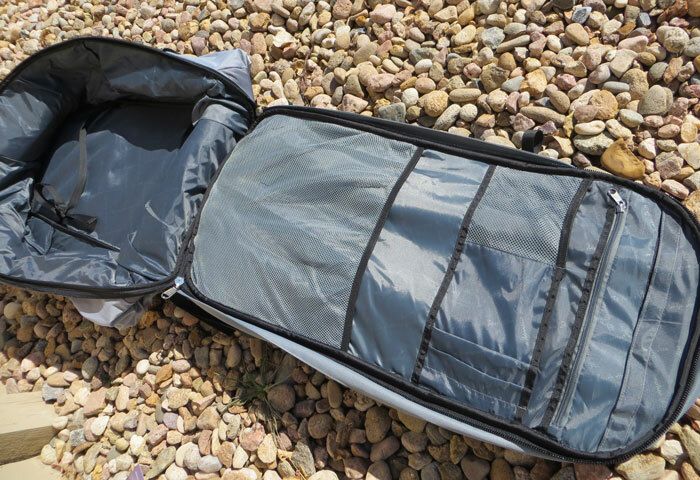 Full zip opening – if something is way on the bottom, it’s no problem! 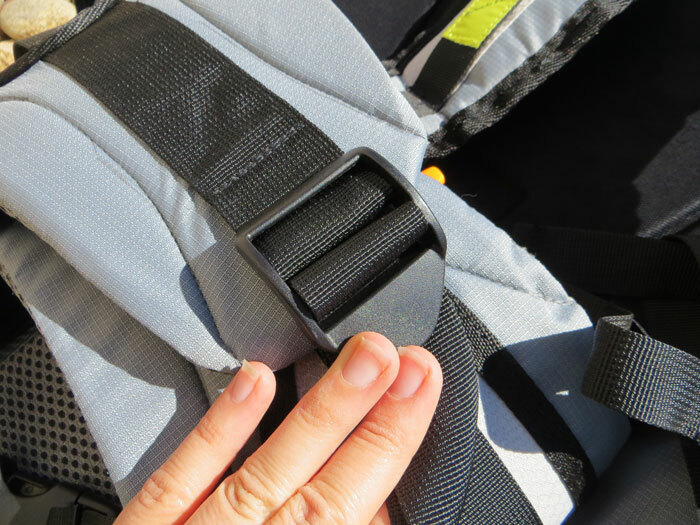 For those travelers that have backpacked before, you understand why this is a VERY important feature! There is nothing worse than being in pain because of a poorly designed travel backpack with little support and cushioning. 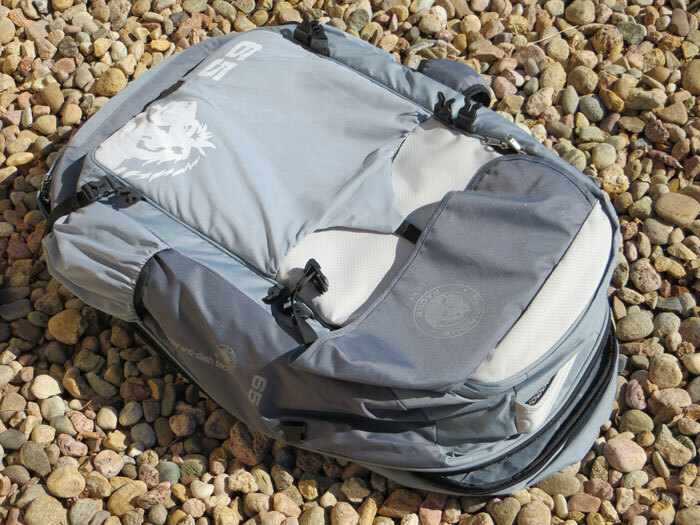 Well, the Numinious backpack is fully loaded for comfort. 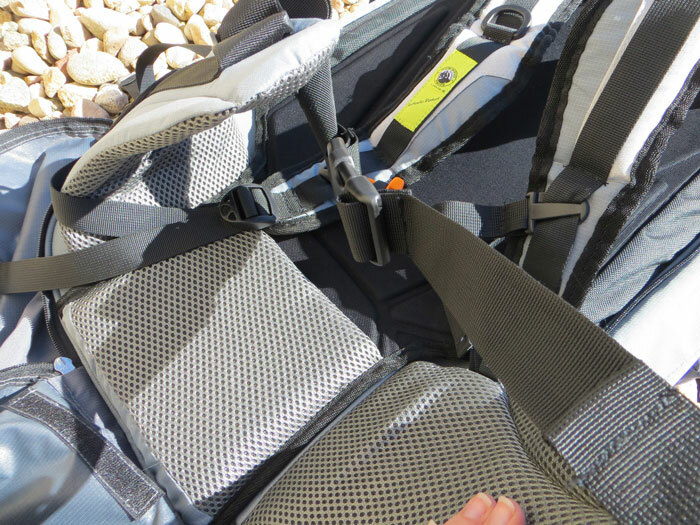 It had adjustable shoulder and waist straps that are padded. The cushioning allows for air flow and lumbar support. 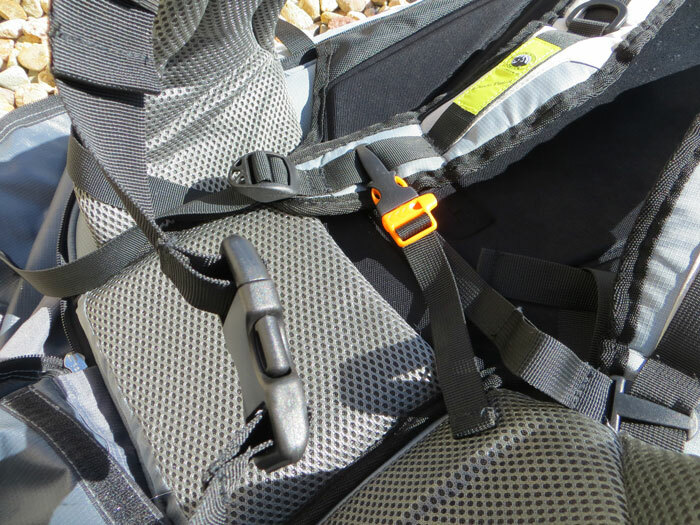 All the straps can be moved to fit different body types – those large or small. 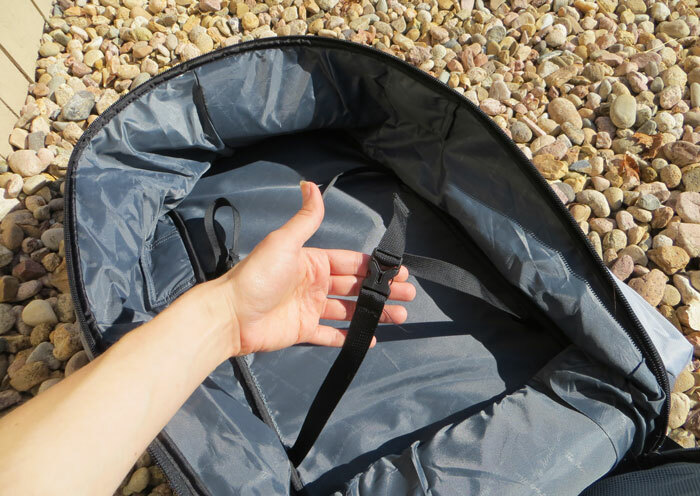 (Also, this is a 65L backpack – and comes in 25L to 90L). Having convenient places to store all of your necessities for a trip is a must, especially when this is your only bag. 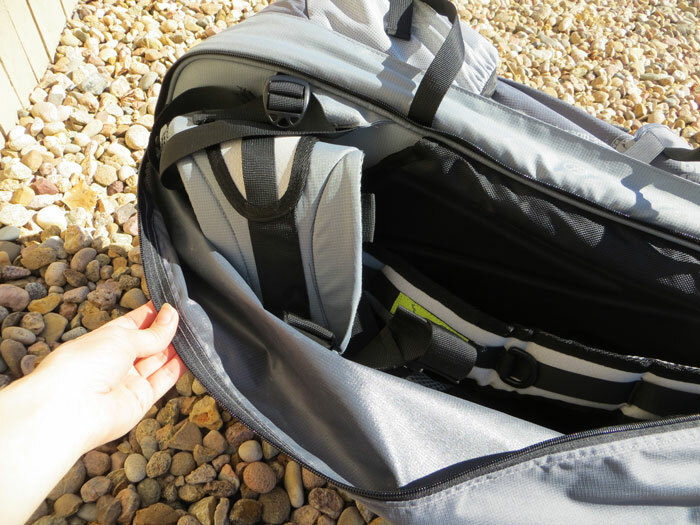 From the outside-in: There is a mesh pocket on the very outside that is easy to access. 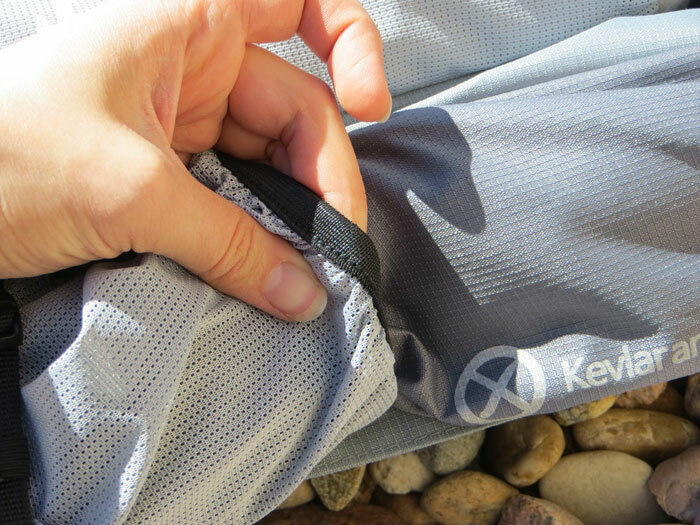 This mesh pocket is open at the top, making it great for small blankets, pillows, sweatshirts or rain jackets. 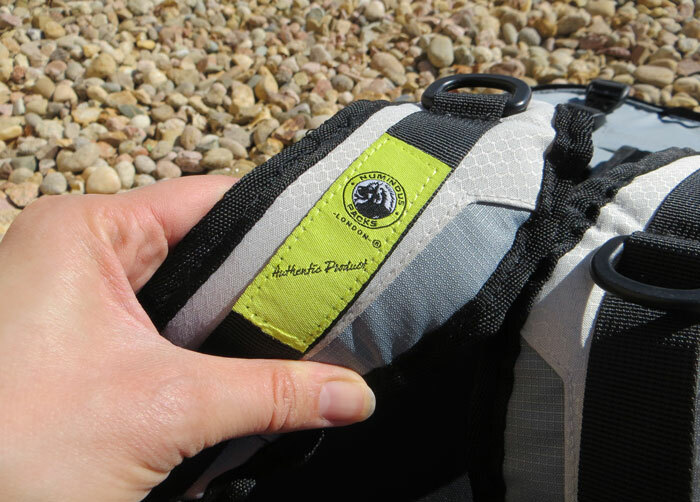 It is the most easily-accessible, quick pocket on the travel pack. 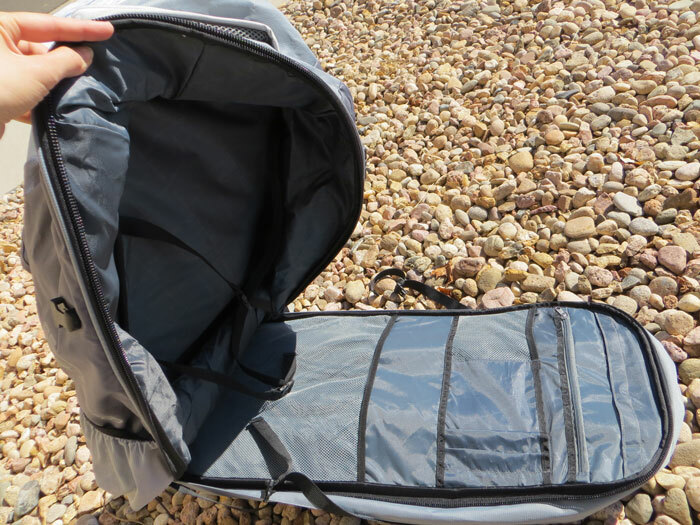 Next, this backpack has a outer pocket that is padded, great for delicate items and electronics. It is the full depth of the travel pack. 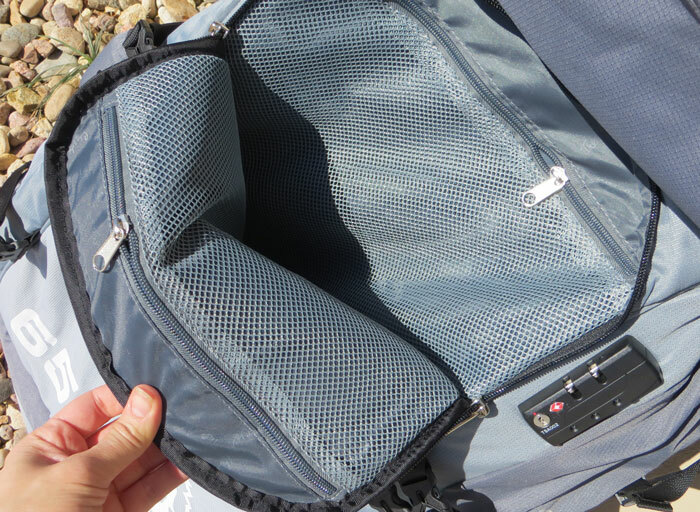 On the sides there are water-bottle type mesh pockets, great for grabbing things on-the-go. I like the store maps, lip balm, sunscreen, sunglasses, etc. in these mesh pockets. Hidden on the bottom of the pack is a conspicuous pocket that lays flat and is not very noticeable. This would be a good spot for important documents that are easy to reach for you, but not easy to find for in intruder. I would keep items like copies of passport, extra back up cash, etc. in this pocket, but make sure to lock it up in one of the secure pockets, while I was sleeping. 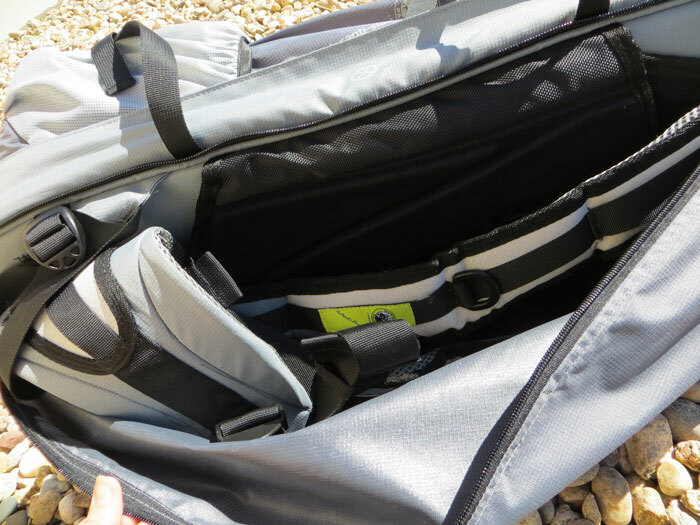 In the large compartment, you will find an impressive amount of storage. You can fit a TON of stuff in this backpack: multiple pairs of shoes, clothes for a week+, toiletries… The one side of the fully-zipped compartment is great for clothes and shoes, and the other side has small pockets and compartments for things you’d like to have more handy – charging cords, itineraries, etc. The Numinous GlobePacs Backpack 65L and other Numinous GlobePacs sizes can be found on EarthEasy.com. Visit EarthEasy, for more solutions for sustainable living, including products for green home, yard, garden, water conservation, energy efficiency and more. Connect with EarthEasy on Facebook, Twitter, YouTube, Pinterest, and Instagram.